 It only takes a few minutes to add your services to your Slick account. All you need to do is click a few buttons to copy them from your Simple Salon account into your Slick account. Click Slick Categories to first add your service categories to your Slick account. Click Select Categories to choose which service categories you'd like to add. Pick an option from the drop down menu i.e. All, Hair, Beauty etc. Tick the service categories you wish to add to your Slick account, then click Save. These Slick service categories will now be added to the list. Now you need to add to your Slick account the actual services and treatments. Click Services to expand that section. Use the drop down menu to choose a Slick service category which you would like to add specific services to i.e. Blow Dry. Click Add from Simple Salon. Scroll the list and tick the services (these are your services from your Simple Salon account) you want to add to this service category (i.e. we want to add the 'Blow Wave' service to this 'Blow Dry' category. Click Save once you have picked all of the services you want in this category. The service(s) will be added to the service category. Click Edit to change the service details i.e. Service Name, Price, Duration, Category. Save any changes made to the service. Pick another Slick Category in the Services section and go ahead and add the specific services to that category. Do this until you have each category populated with your services. NOTE: These are all of the services you wish to have available for your clients to book online. You might now like to add a profile pic to your Slick account. Click here to see how.